OC Dugout is proud to have relationships with tons of athletes and celebrities, spanning every Movie Genre and major sports, including baseball, football, basketball and boxing. It’s through these relationships that OC Dugout bridges the gap between fan and athlete. Want a baseball autographed by Mike Trout? Can do. How about a photograph personalized to Dad by Kobe Bryant? That can be arranged, too. Has it been your dream to meet Stan Lee and to pose for a photo with them? Your dream can come true! How? Through either a Private Signing or a “Live” Public Appearance. Private Signings take place at the OC Dugout or at an undisclosed location. The public is not allowed to attend such signings, but you may send in personal items, such as bats and photos, to be autographed by their favorite celebrity or athlete. “Live” Public Appearances take place at The OC Dugout. These are rare opportunities to meet and greet your favorite athlete or Celebrity and obtain an autograph. As with Private Signings, costumers do not need to be present in order to have an item autographed. OC Dugout updates its list of Private Signings and “Live” Public Appearances year-round, so simply click on the Upcoming Signings link and then the Signing Index for a current schedule on TheOCDugout.com. 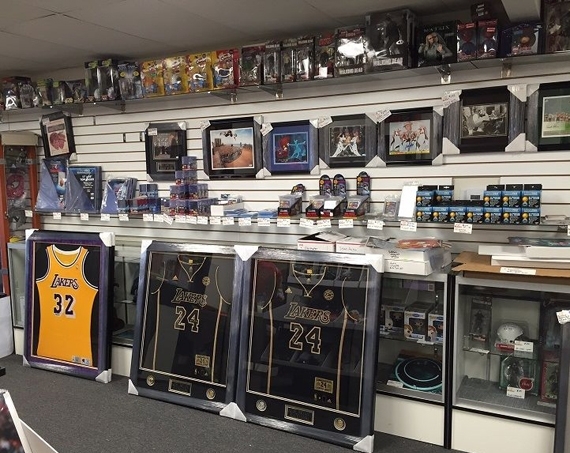 To price having a personal collectible autographed by your favorite athlete call (714) 761-6414 for any questions.